This Halloween, New York’s hottest front stoop is the one in front of your house. It has everything. 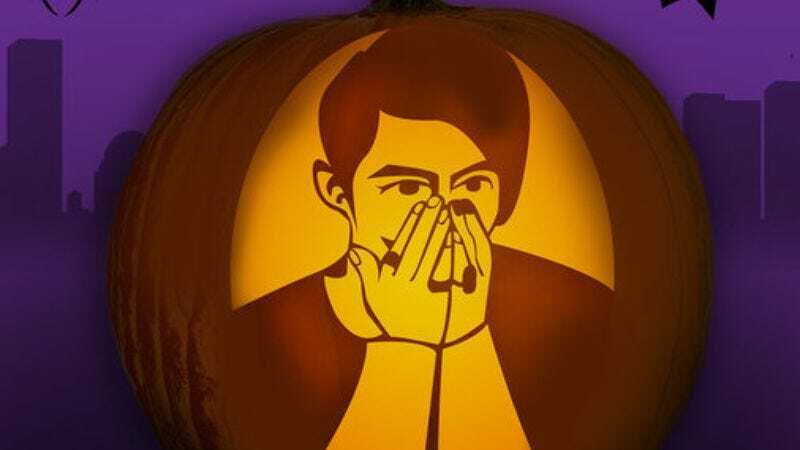 Candy, costumes, bilingual Dracula, wax lips, jack-o’-lanterns that look like characters from Saturday Night Live, an ice sculpture of the iPhone 7, human millipedes… actually, it doesn’t have everything, but you can have an SNL-themed pumpkin lighting up your front stoop, thanks to a series of free stencils you can download from NBC’s web site. SNL and Halloween are a natural fit—both only happen at night; both involve people you know well wearing silly costumes; and both peaked when you were 13. As such, the show’s stencil-makers were wise enough to dip into the recent past for their character-based designs. There’s Stefon, if your Halloween party is extra debauched; Debbie Downer, if you’re giving out fruit or something instead of candy; Drunk Uncle, if you don’t want people to know at first glance who’s on your jack-o’-lantern; and Gilly, if you’re giving out candy that irritates the palate and gets stale almost immediately.